There is a HTML guide inside the hellsound folder. Copy the hellsound folder into your …\Steam\SteamApps\sourcemods\ folder. Hellsound should now be listed in your Library tab. Sorry, I haven’t had time to play this yet. I have just started to play this, partly to make sure it works and partly to get a feel for the mod. I don’t I’ll write a review this week as it’s probably a couple of hours long. Eventually, I’ll create a playthrough video too. I played it to the end. A nice horror-puzzle mod. The puzzles are of the door/key finding kind. It seems you are a timetravelling, teleporting schizophrenic, suffering from amnesia. Have fun! I like almost all Half-Life survival horror and pure horror mods. I am really one of those who loved Cry of Fear and Afraid of Monsters Rumpel’s mods. Those two were a truly great milestone in the Half-Life modding horror history, and if you play it then you will know why. No matter if they are made in the Golden source engine in which HL1 runs, they set a precedent in Half-Life horror modding gameplay that also influenced HL2 horror mods. Now, in HL2 horror modding history we may don’t have quite many horror mods as we have in HL1. 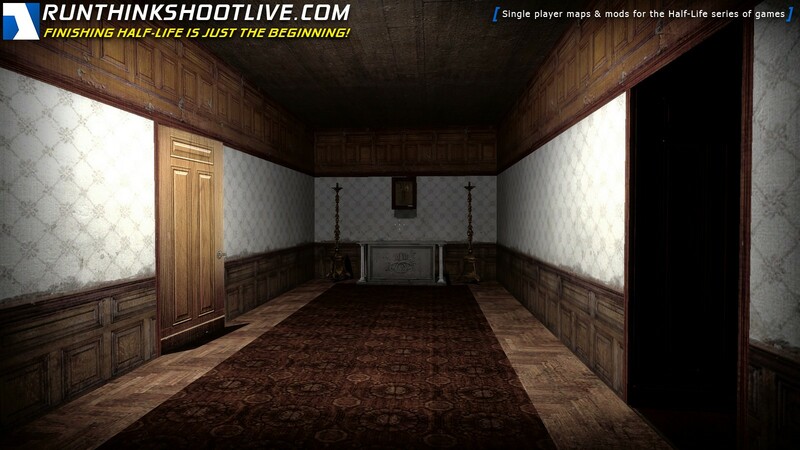 Many of them are just single maps that explore a dark environment and the classic but boring horror assets HL2 hast to offer, I mean by that, the zombies and all of those Ravenholm textures and stuff. The proper milestone in HL2 horror mods was a mod called “Nightmare House 2”. You can try it anytime if you fetch for it here on Phillip’s website. 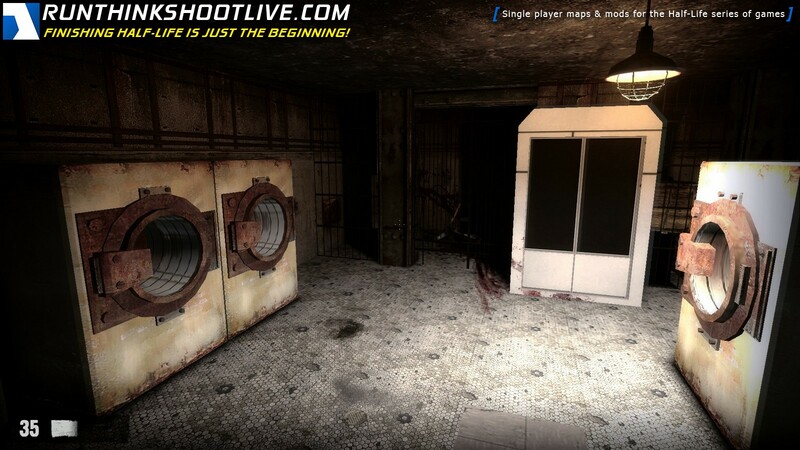 That one evolved from a very classic and boring simple HL2 map with the classic zombie stuff. Then, the second delivery was a Total Conversion mod. The authors basically created a whole and very well supplied set of horror assets from new zombies-enemies, textures, sounds and a whole great environment, that made possible to create a Hollywoodesque story-line or plot for the now classic NH2 mod. The thing is, that from NH2 mod, some more HL2 survival-horror mods followed. 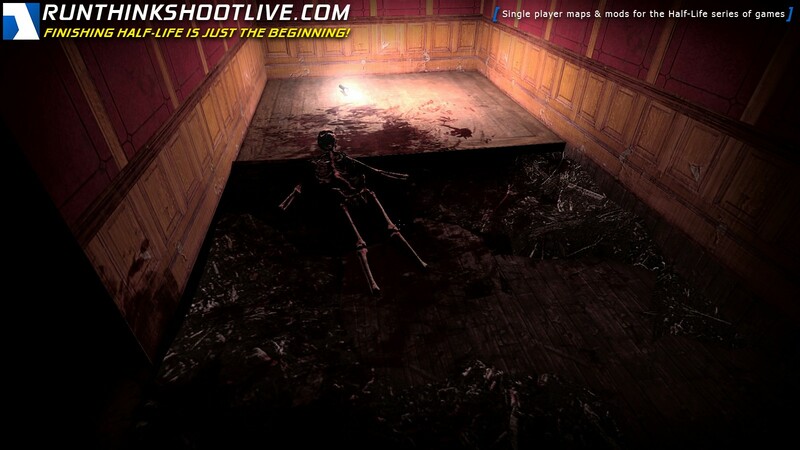 And the creators made use of the NH2 horror assets and created very nice horror mods of their own. “Underhell” mod, at least the part of the mysterious horror house used NH2 assets, Then another mod -this one heavily inspired in CoF mod- called “Grey” also complemented the NH2 survival-horror HL2 mod catalog. In this line came and made a great solid impact this mod called “Hellsound Dreams”, is a medium-long mod in which I think the most powerful element is it’s horror environments. I had many eerie moments playing this mod, I can say I felt scared when I was playing it. Because of the sounds and the momentum and horror-pace it has. I loved that in this mod. I also loved how the old school gameplay was implemented, possibly influenced by Cry of Fear, this mod always keeps you busy fetching keys or finding secret areas and looking for ways to progress in the maps. The only thing I really feel weak about this horror mod was the end. It gave me the impression that the developers didn’t want to continue whit it so just made 4 chapters and that’s all, once you reach the surface and reach that uneasy and eerie sea bay you’re done and end the mod with no more explanations about the back story. I really never felt the authors even worry about a script or guideline for the mod. The story just feels empty, and we never have a clue about why we are in the locations we are, or which is our purpose inside the mod storyline. So I guess the author just developed maps on the road and never worried for put a coherent logic line into them. Despite this issue of lack of a clear horror storyline. 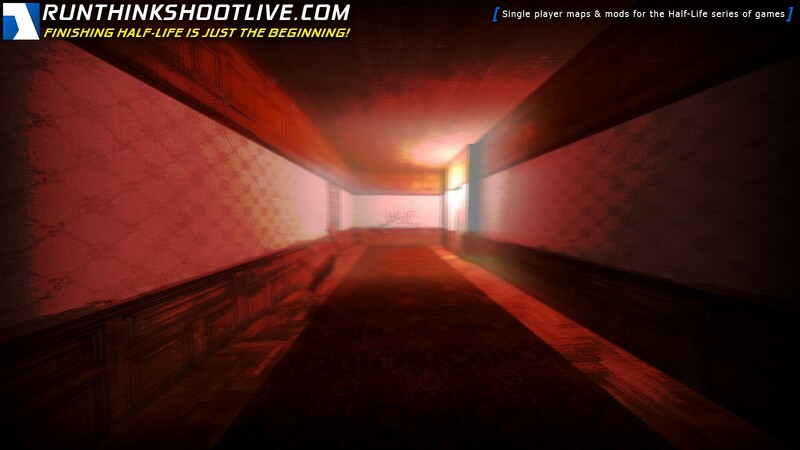 The whole 4 chapters and the maps they offer, had a tremendously intense and uncomfortable scary environment. I really loved that, in many parts, I could even say it was more psychological horror feeling than in many Cry of Fear parts. I loved that. The enemies were very random especially the zombies, but they were quite OK used. Also, the police officers were a bit scary too. You know, we never know why they want us captured or why the heck we did for be in troubles with the law. The whole mod really feels at times like a hellish nightmare full of scary delusions that don’t seem to have a logical order. Maybe we are a schizoid mental character?? Who knows! But the whole horror experience is definitely there and is great if you love Half-Life horror mods. Overall that’s all I can say about this mod. It was a nice scary experience. It’s perfect to play in this upcoming 2018 Halloween’s eve. I’d love to see the second part but I think it will never happen. Anyways it would be very nice to have a sequel of this mod, explaining what the hell is the story back about our character and its hellish nightmare-delusions. Even if its a couple of maps I’d be very happy to play it if one day the author feels like to develop the second part. P.D. Don’t try this mod in Gauge as many textures can be missing or just broken if you play it via that method. It is better to install it and play it right from your Steam directory. If you love Horror-Mods and the uneasy-scary experience around them. Definetely you have to play this one. Overall I thought this mod was pretty good. 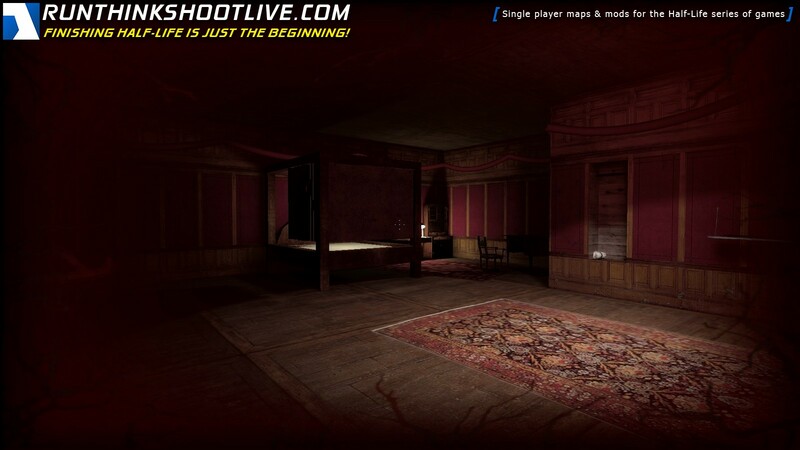 It is very reminiscent of Nightmare House 2, but that isn’t a bad thing as that mod was spectacular. The environment, enemies, and weapons were all nicely done. I enjoyed the puzzles even if I did have to consult Youtube a couple of times. The author really rewarded exploring here. The biggest downside for me was the number of times you were suddenly in a kind of trance and unable to do anything other than move around while everything was blurry. I just felt there were too many of these things and they took too long. Also it would have been nice to have an ending; it just looks like the author got tired and gave up. Overall though it was several hours of pretty interesting play time, so it was worth it.